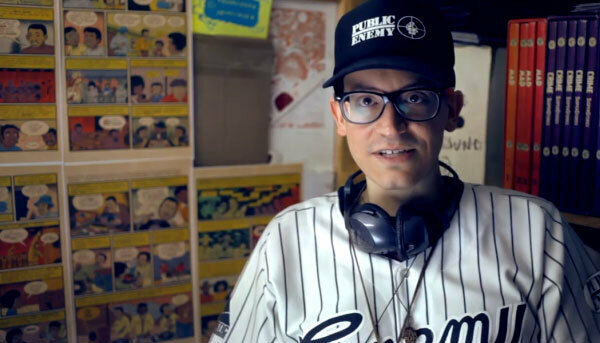 Ed Piskor has been cartooning professionally in print form since 2005, starting off drawing American Splendor comics written by Harvey Pekar. The duo continued working together on 2 graphic novels, Macedonia, and The Beats. Ed began self-publishing Wizzywig after developing a huge interest in the history of Hacking and Phone Phreaking. 3 volumes, making up 3/4 of the full story, have been published to date. Recently Ed has designed the characters for the new Adult Swim series, Mongo Wrestling Alliance. JUDD WINICK grew up on Long Island, where he spent countless hours doodling, reading X-Men comics and the newspaper strip Bloom County, and watching Looney Tunes. Today, Judd lives in San Francisco with his wife, Pam Ling; their two kids; and their cats, Chaka and Sleestak. When Judd isn’t collecting far more action figures and vinyl toys than a normal adult, he is a screenwriter and an award-winning cartoonist. Judd has scripted issues of bestselling comic series, including Batman, Green Lantern, Green Arrow, Justice League, and Star Wars, and has also been head writer on the Hulu network’s animated series, The Awesomes. Judd also appeared as a cast member of MTV’s The Real World: San Francisco and is the author of the highly acclaimed graphic novel Pedro and Me, about his Real World roommate and friend, AIDS activist Pedro Zamora. Visit Judd and Hilo online at www.juddwinick.com or find him on Twitter at @JuddWinick. 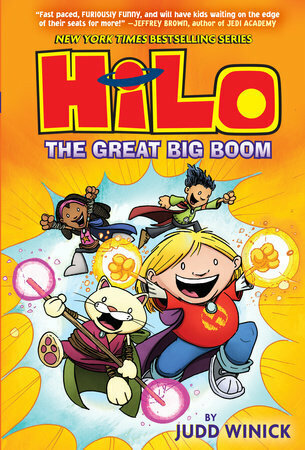 Ross Rojek talks with Winick about his newest release, HILO: Book 3.